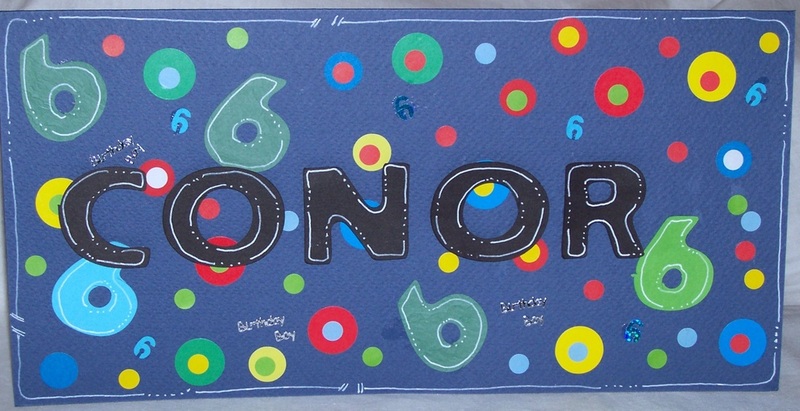 ​Kids love cards that have two special things on them - their name, and their age. It's all about their special day! Grab some stickers and a shape cutter or scissors and have one made in no time. 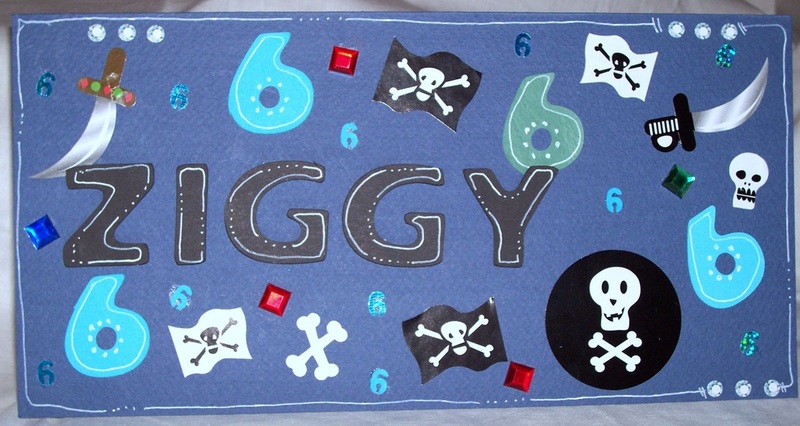 For these cards simple circle and pirate stickers (use age and interest appropriate) were randomly placed over the card. I used a fiskars shape cutting set to cut out some sixes (change for the childs age) and their name, and then outlined them using a white gel pen. A matching border was drawn around the outside with the gel pen. I also punched some small numbers using a hand punch and glued them on. If you don't have a shape cutter, you can cut your own letters and numbers from paper. One easy was to do this is to use word art (chose a font where is an outline of the numbers / letters) and print your chosen letter / numbers onto coloured paper or light card. Use the "flip horizontal" word art tool to give you the mirror image, before printing them out. You can then cut them out with scissors, and the ink is not seen because it is on the back of the paper. ​You could also use the mirror-image letter and number templates found here. Print them onto the back of card or paper so the ink lines are not seen in your finished product. You can also buy letter and number stickers, and then no cutting is required at all!